Royal Caribbean provided a sneak peak at its next Quantum Class ship, which will be a brand new kind of Quantum Class ship, known as the Quantum Ultra Class. 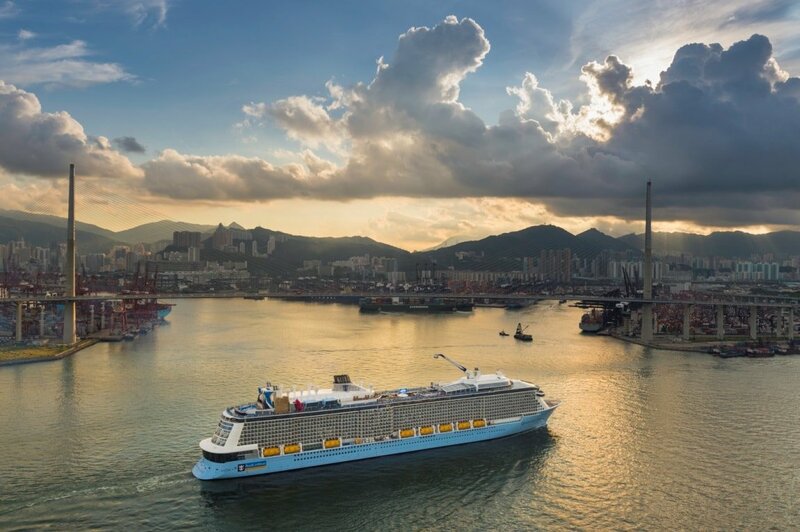 As part of the cruise line's 2018-19 Asia-Pacific deployment release, the yet-to-be-named ship is the first Quantum Ultra Class ship, and will join sister ships Quantum of the Seas and Ovation of the Seas in the region. Royal Caribbean made its inaugural visit to Havana, Cuba. A new ultimate dining package option is available to purchase. Royal Caribbean released stellar first quarter financial results. Five interesting facts that emerged from Royal Caribbean's quarterly earnings report. Adventure of the Seas will get a refurbishment in January 2018, and subsequently canceled a few sailings. Royal Caribbean released new construction photos of Symphony of the Seas. Royal Caribbean broke ground on a new pier for CocoCay. Check out a Grand Suite photo tour on Harmony of the Seas. Royal Caribbean wrapped up a record cruise season in Australia. The 195th episode of the Royal Caribbean Blog Podcast is now available, and we are talking about what it is like to stay in a suite. In this episode, Matt talks about his recent suite experience on Royal Caribbean and shares the best aspects of staying in a suite and why it may be worth trying one out. If you are on a Royal Caribbean cruise and spot something cool, new or just fun, share a photo with us on Facebook or Twitter so we can add it to our Royal Caribbean Blog Reader Finds each Sunday! 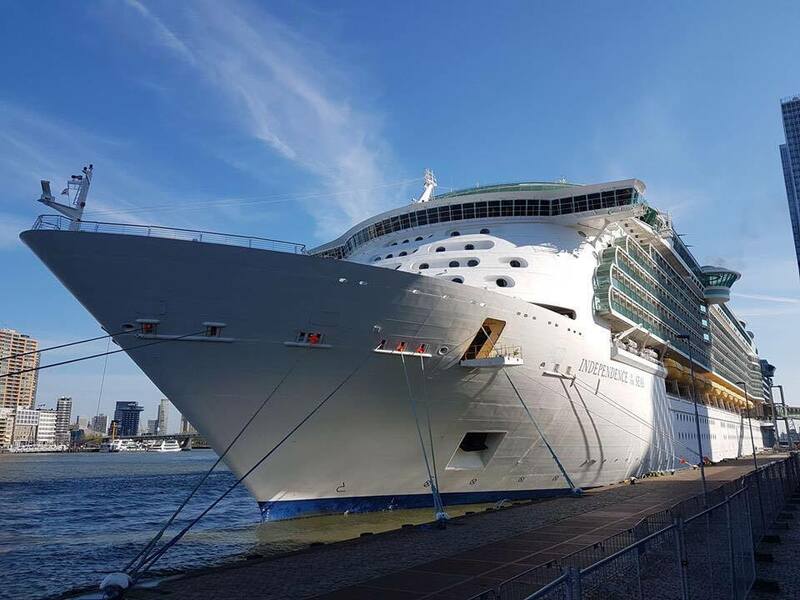 Sannie Berg sent this photo of Independence of the Seas visiting Rotterdam, instead of Le Havre due to strikes, from earlier today. 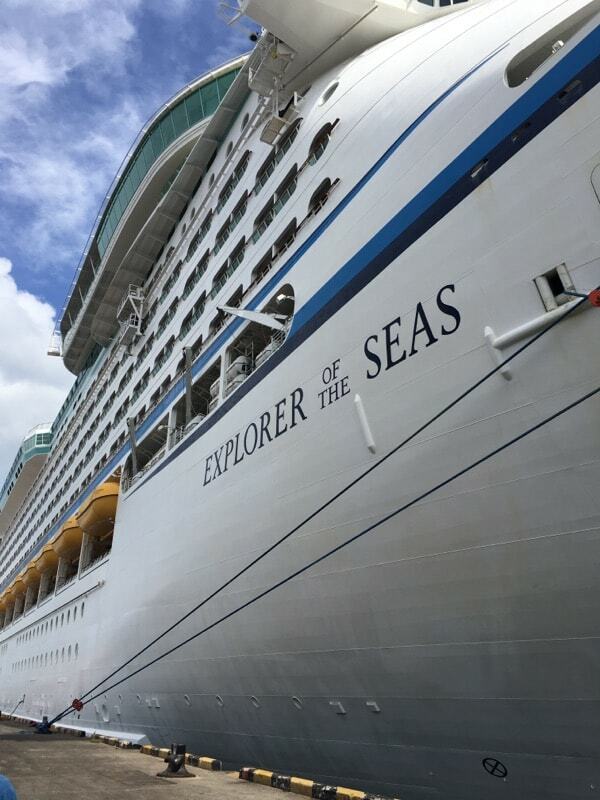 Christine Hirsch took this photo of Explorer of the Seas in Suva, Fiji, while onboard the Oceania Sirena. In The Loop Travel has a look at an ideal day in Labadee. Eat Sleep Cruise has six reasons to visit Sabor on Harmony of the Seas. CNBC interviewed Royal Caribbean Cruises Ltd. Chairman Richard Fain to discuss the company's quarterly results. Cruise Hive has four reasons you should prebook. CruiseBe has a look at the family of cruise lines in Royal Caribbean.